Hair loss can make you feel embarrassed and less-than-confident, but there’s good news: you don’t have to live with it. At Humble Dermatology in Humble, Texas, board-certified dermatologist Adaeze Egesi, MD, can diagnose the reason for your hair loss and help you treat it in the most effective way. You can feel confident and have a full head of hair again! Book your appointment through the online tool, or call the office anytime for help. What are the different kinds of hair loss? Alopecia areata is an autoimmune condition affecting your skin. It causes hair shedding on both your scalp and other parts of your body. Hair typically falls out in circular patterns. Central cicatricial alopecia is a common cause of hair loss in women of color. In this type of hair loss, hair sheds mainly in the crown area and then moves outward in a circle. Central cicatricial alopecia may be related to heredity, use of extensions or weaves, and the use of relaxers, hot oils, and other products. Androgenetic alopecia occurs in both men and women. In men, it's called male pattern baldness and causes a receding hairline and steadily thinning hair until partial or total baldness occurs. In women, the hairline doesn't recede but the hair thins overall. This type of hair loss is connected to conditions like prostate enlargement and heart disease in men. In women, it's often connected to hormone imbalance. Telogen effluvium is temporary hair loss that causes shedding all over your head. Usually, telogen effluvium starts after a stressful situation or difficult time in your life. Other related conditions can include menopause, poor diet, and pregnancy. Traction alopecia can happen when you wear your hair tightly pulled back in a bun, braids, or ponytail for long periods. The constant stress on the hair follicles can cause accelerated hair loss or follicle damage. Dr. Egesi, the experienced dermatologist at Humble Dermatology, diagnoses your hair loss and helps you stimulate healthy hair growth again. 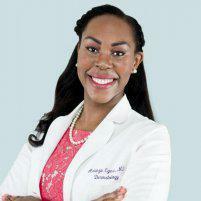 Dr. Egesi designs a hair regrowth plan specifically for you after discussing your needs with you. You may have treatments like platelet-rich plasma (PRP) therapy to stimulate your hair follicles, or Dr. Egesi may recommend other custom hair regrowth treatments for your needs. Dr. Egesi recommends lifestyle adjustments that may help prevent hair loss. You may need to change the way you care for your hair, such as less processing, to keep it healthy and beautiful. Whether you have a weave or you’re all-natural, Dr. Egesi helps you achieve the gorgeous, healthy hair you want. 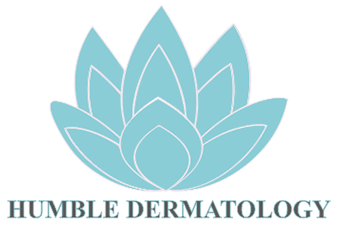 Use online booking or call Humble Dermatology for your appointment now. 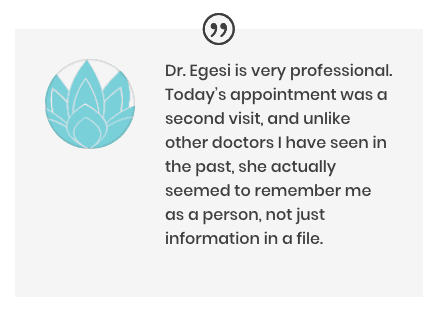 Dr. Egesi is highly specialized in the diagnosis, management, and treatment of hair loss that affects both men and women. If you are noticing bald spots or an unusual amount of hair loss, it may be a sign of alopecia.